In Spring 1846, George Donner packs up his family and his belongings, points his wagons westward, and heads for a new life in California. After joining up with another party, Donner makes a decision that not everyone will live to regret. As tensions build amongst the smaller cliques within the larger caravan, it becomes clear that the party are being stalked by something, something that is taking their children and leaving their spent bodies along the trail. Winter arrives quickly, and the Donner party find themselves still in the mountains, with no shelter and no means of escape except to continue on the treacherous road ahead. When the wagons can no longer move, and the food begins to run out, the party must contemplate the unthinkable if any of them are to survive. We’ve all heard of the Donner Party. Like Scott’s ill-fated journey to the South Pole, or George Armstrong Custer’s ill-fated stand at Little Bighorn (anyone else seeing a pattern here? ), the fate of George Donner and his fellow travellers is a moment of history that seems to be embedded in the human consciousness, something that we’re aware of without necessarily knowing the details. Alma Katsu’s latest novel mixes fact and fiction, doing for the Donner Party what Dan Simmons’ The Terror did for John Franklin’s expedition to find the Northwest Passage. As the novel opens, the group are already on their way towards California, their numbers swollen by the absorption of another party travelling in the same direction. Charles Stanton, the only man in the party without a family to worry about, keeps himself mostly to himself, watching the dynamics of the group as cliques form and enmities fester as the group continues westward. When the first child is taken, and later found farther along the trail, mutilated and incomplete, some of the men begin to fear that they are being tracked by some beast. Stanton fears that the beast is closer at hand, a member of their party. When the party reaches Fort Bridger, George Donner makes a decision that will spell doom for many of the people who follow him. Taking an untested route which promises to shave hundreds of miles off the journey, the party eventually become stuck, snowed in and slowly running out of food, frightened of beasts that are now, without a doubt, shadowing their every move. Told from the viewpoints of Charles Stanton and George Donner’s third wife, Tamsen, who many believe to be a witch, The Hunger mixes fact with fiction, and adds a dash of the supernatural to create a story that is gripping and chilling in equal measure. Despite knowing how this will end, Katsu still manages to surprise us while wonderfully evoking the tensions and hardships faced by a group of people travelling thousands of miles, drawn onwards by little more than the promise of a new life at the other end. The hint of supernatural is a wonderful touch, but it’s the human contingent who turn out to be the evil at the heart of this story. Katsu teases us with hints of gruesome Indian ceremonies, and tales of men driven mad by the area through which the Donner party is travelling, but The Hunger is, by its very nature, a slow-moving story that wends its way, inexorably, towards the inevitable destination. It’s a story designed to leave the reader feeling uneasy, and it succeeds in doing so: faced with the question of what we, ourselves, might do to survive in this same situation, the reader becomes a silent – but no less complicit – member of the group. The Hunger owes much to Simmons’ aforementioned The Terror, but Alma Katsu makes the story her own, evoking the exhaustion of constant travel, fear of the unknown and the dreaded cold of winter in the mountains so that the reader feels every mile of the journey, held captive by the story until it’s done. The characters are beautifully-drawn and play a huge role in making us want to keep reading: they leap fully-formed from the page, and we become invested in their eventual fate. 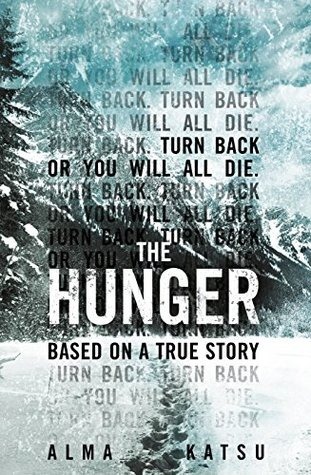 One of the finest horror novels written in the past handful of years, The Hunger is a modern classic-in-waiting, and Alma Katsu is, without a doubt, a writer to watch very carefully. This is one you don’t want to miss.